Sorry, this product is temporarily out of stock and cannot be purchased at this time. 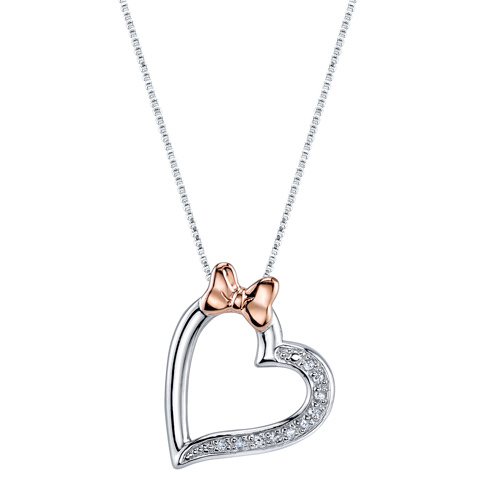 Sterling silver 1/20 ct diamond Minnie Mouse bow heart pendant has a pink gold bow accent. Sterling silver 18in box chain has a spring ring clasp. Pendant is 18mm x 15mm. Weight: 2.7 grams. Officially licensed by the Walt Disney company. Import. This item ships to the United States.